Last spring we asked all of the amazing users of Open Up Resources 6–8 Math to give us feedback on the curriculum. As a part of that, we asked what educators’ favorite lessons of the year were. We loved reading the responses. There was so much knowledge and wisdom shared in the favorite lessons feedback that we decided we couldn’t keep it to ourselves. We’re sharing a Top Ten Lessons list for each grade level, so that whether you’re an experienced user of Open Up Resources 6–8 Math, a new user looking for a place to get started, or a teacher just looking to supplement here and there, you can find all of our crowd-sourced favorites in one place! We especially can’t wait to see these lessons in action in your classroom. Make sure to tweet us pictures at @openupresources and #OpenUpMath, and post your experiences in our Facebook Community. This lesson engages students instantly by asking them to engage in a discussion about which color/shape occupies more of the pattern. The lesson plan includes both an applet or an option to use pattern blocks if you don’t have access to technology. 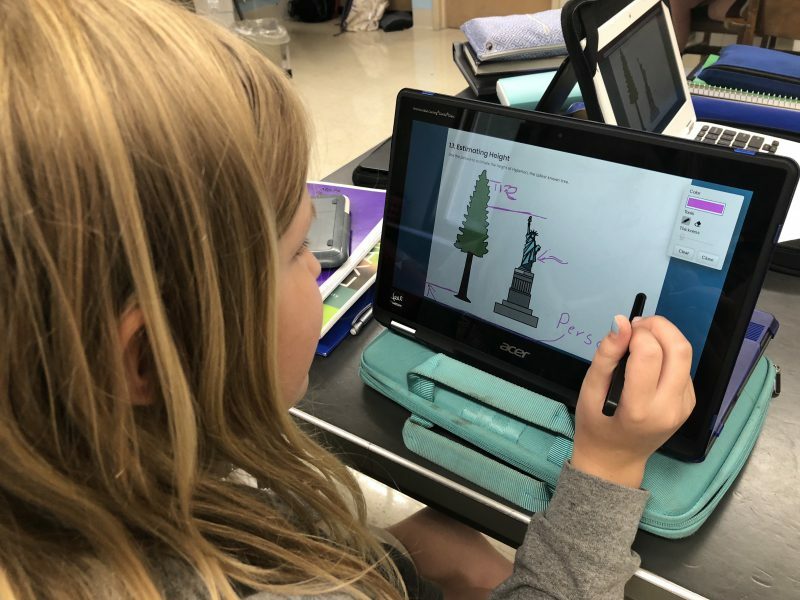 Students are able to review important elementary geometry concepts while gearing up for 6th grade conversations about area and surface area…it is a win-win to start the year! Students really begin to become comfortable using their geometry tool kits and pattern blocks in this lesson. They begin by breaking down polygons on a grid to reason about area before moving off the grid and on to more complex problems. Student confidence builds as does difficulty. How many post-it notes does it take to cover a filing cabinet? 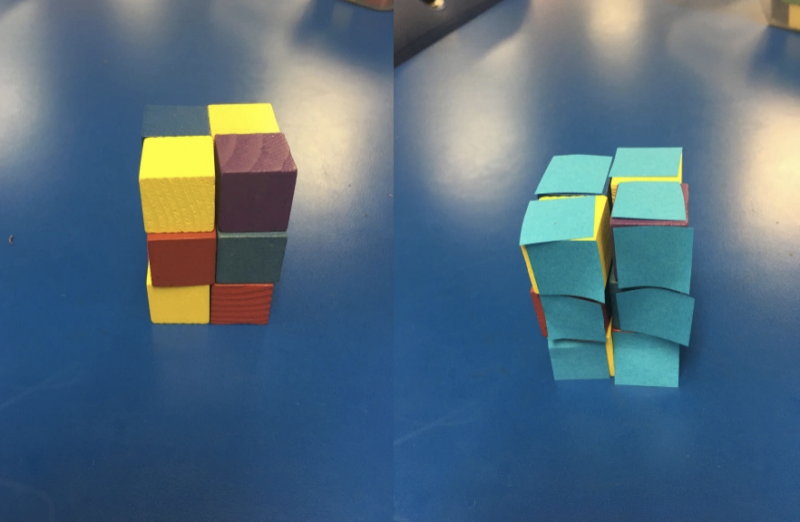 Students answer this question as they are introduced to surface area with hands-on materials like unit cubes and post-its or an applet that allows them to visualize the true meaning of the concept. This is hands-down our tastiest lesson! Students taste two different drink mixtures and then match them to the correct recipe. After students have identified the correct recipes, they must work to adapt one of the recipes to the other one. All of the work that follows in this lesson revolves around recipes and generating equivalent ratios. Students gain hands-on experience creating equivalent ratios by trying to recreate a shade of green using yellow and blue water. The lesson also comes with an engaging applet that allows students to see what happens to the mixture as more blue and yellow are added. 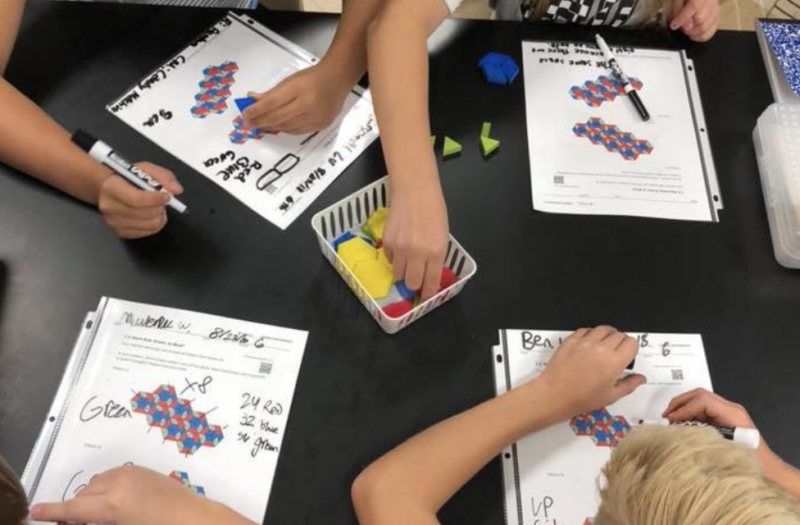 We love a good review and this lesson allows students to review ratios while also learning all about the mathematician Enrico Fermi. After solving a couple of “Fermi” problems students are given a graphic organizer and then allowed to research their own problem. The possibilities are endless! Students gain some perspective into the world with this lesson that focuses on trying to decide how long it would take to wash all windows on the Burj Khalifa, the world’s tallest building. Then they take it a step further and expand their use of rates to figure out how long it would take them to climb to the top. Kids love exploring this larger than life lesson. In this very visual lesson, students truly begin to understand how the size of the divisor affects the size of the quotient by examining real-world objects divided into groups – like bricks, boxes, notebooks, and coins. It is the first step in understanding fraction division for students. Equation solving becomes a breeze after this lesson with hanger diagrams. Students learn what it means for a hanger to be balanced and how to transfer that knowledge to solving one step equations. It is a great way for students to visualize what happens when we solve equations. All students have experience with things being fair and unfair. This lesson harnesses that knowledge and has students apply the concept of everyone getting their “fair share” to the term “mean.” Through the use of the applet or manipulatives such as cubes, students can distribute things—such as cats to crates or servers to tables—to understand what the mean value truly represents. Thank you to everyone who contributed to the user survey last year. We can’t wait to see how the list changes this year with even more teachers actively using Open Up Resources 6–8 Math. You will have to stayed tuned for the 7th and 8th grade lists…they are coming soon!